There just can’t be a more fascinating endeavor in finance (anywhere?) than analyzing Credit and speculative Bubbles. Such undertakings do not come without challenges. I’ve enjoyed Barry Eichengreen’s “Hall of Mirrors – The Great Depression, The Great Recession and the Uses – And Misuses – of History.” Curious title. I’m envious of Eichengreen’s talents as a writer. And his book is replete with entertaining insight from critical periods in history. Eichengreen as well perpetuates a distorted view of the “Roaring Twenties” period. Similar to today, there was a critical debate in the late-twenties. Was the stock market an indicator of newfound prosperity - or was it instead an out of control speculative Bubble? Was the Credit system sound or unsound? How about the underlying economic structure? Was the Federal Reserve adroitly managing the economic boom or was it instead unwittingly feeding a catastrophic Bubble? Could the bustling U.S. economy and markets just ignore negative global developments? Strangely, Eichengreen simplifies the revisionist view to about one sentence where he claims that responsibility for the crash and Depression rests with adherents to an ill-advised “real bills doctrine.” Why an economic historian would chose to so readily dismiss such rich and pertinent debate regarding Credit dynamics and repercussions; financial flows, market speculation and Bubbles; and monetary management, is beyond me. The “even the stopped clock…” nonsense became too popular with the arrival of financial crisis in 2008. I remember it as well from the bursting of the tech Bubble in 2000. Bullish proponents were quick to point out that the “bears” had been “saying the same thing for years.” Even as the “naysayers” are proved correct, the determination to discredit remains as intense as ever. And all the misinformation and revisionism really deters from the learning process. Not surprisingly, we keep making even more atrocious policy mistakes. The issue is not some bull versus bear shoving match. And it should not be about competing ideologies. Instead, the issue of whether a boom is sound or an inflating Bubble is of profound consequence. Whether policymakers are fostering sustainable recovery or merely fueling an unsustainable boom is absolutely critical. The Bubble Issue should be front and center for analysis and debate. And, in the end, the Bubble prognosis should be recognized as right or wrong – not at a point in time but with regard to the overall cycle. There are Bubble analyst facts of life. First of all, you and your analysis will be discredited, and the bigger the Bubble the more complete and utter disparagement. You see, Bubble periods tend to evolve over years. Major Bubble episodes – as we’ve witnessed – can endure for as long as six or seven years. And, importantly, post-bust policymaker measures can reflate Bubble Dynamics, leading to serial Bubbles (i.e. “tech” to mortgage finance to global government finance). So if you have a series of Bubbles with six or seven year lives, you’re discussing an overall Bubble span of a couple decades (or more). What analyst can survive 20 years of what the vast majority sees as irrefutable prosperity only occasionally interrupted by central bank resolvable issues? I have posited my case for the “Granddaddy of All Bubbles.” I believe the current “global government finance Bubble” is the finale of a historic multi-decade Bubble period. And each week I see important confirmation to the thesis that this global Bubble has been pierced. Ominous storm clouds are building in global Credit, throughout global markets, in economies, within societies and all about geopolitics. Things are turning serious, and any talk of a stock market correction completely misses the point. The entire bull thesis is coming under fire. Even in the harshly depleted “bear camp,” I sense Bubble fatigue. In general, backdrops conducive to crisis can linger for so long that fears naturally fade as optimism and complacency take full control. In this regard, this period has been extraordinary. Our odd world of Trillions of central bank liquidity thrown at global markets sees crises dynamics move at a crawl. Over the past year, things at times seem to be playing out in super slow-mo in HD. This was a key week from the perspective of my analytical framework. The crisis broke through to the “Core of the Core.” I would expect crisis dynamics to now speed up. I’ll try to explain. “Periphery to Core” analysis turned much more complex and nuanced throughout this prolonged global government finance Bubble period. Typically, stress at the “Periphery” begins a process that begins to weigh on the “Core.” But in this phase of unprecedented central bank monetary inflation (“money printing”), trouble at the Periphery has elicited aggressive policy responses that have tended only to stoke Bubble excess at the Core. I found it helpful to further delineate sector dynamics - to incorporate “Periphery of the Periphery” and the “Core of the Periphery.” Similarly, there is the “Periphery of the Core” and the “Core of the Core.” Over recent months, heightened stress had made it to the “Periphery of the Core” (Greece, commodity-related stocks and high-yield debt, in particular). Yet the “Core of the Core” had remained immune to global forces - that is until this week. First of all, the “Periphery of the Periphery” is an unfolding unmitigated disaster: With EM generally encompassing the global “Periphery,” the likes of Venezuela, Ukraine, and Argentina demonstrate accelerated deterioration. More importantly, conditions at the “Core of the Periphery” – the likes of Brazil, Mexico, Russia, Malaysia, etc. – now suffer rapid “vicious cycle” deterioration. Markets have turned illiquid and the “hot money” wants out. Confidence has waned that central banks can keep currency and securities markets orderly. So it appears “Core of the Periphery” dynamics have reached the point where crisis dynamics shift from “slow-mo” to high-speed. This week saw the Russian ruble sink 3.8%, the Brazilian real 2.5%, the Colombia peso 2.0% and the Malaysian ringgit 2.7%. Brazil stocks were hit for 4.5%. Analytically, China occupies an integral spot in both the “Core of the Periphery” and the “Periphery of the Core.” China’s unfolding financial and economic crisis will either directly or indirectly impact virtually all global markets and economies. I see the ongoing energy and commodities collapse supporting the view of the end of the historic Chinese Bubble period. The bursting of China’s equities Bubble marks a momentous global Bubble inflection point. China’s reflationary measures over the past year (in particular) worked primarily to spur precarious speculative excess in Chinese stocks, in the process stoking optimism that Chinese reflationary measures would work to reflate commodities and “Periphery” economies. China’s “Terminal Phase” was extended, while EM adjustment was postponed. In the end, China’s misguided policies only worsened Bubble Fragilities, in China, throughout the “Periphery” and elsewhere. After a hiatus, Bursting Bubble Dynamics have reemerged with a vengeance. The risks that arise with China’s extraordinary response to collapsing stock prices only compounds mounting global uncertainties. Here at home, the S&P 500 Media Index traded at 640 on Wednesday, sank to a low of 565 on Thursday before ending the week down 7.4% at 587.26. Core stock holdings such as Disney, Viacom, Time Warner and CBS were taken out to the woodshed. Media stocks reside importantly at the “Core of the Core.” Though not generally recognized, today’s media industry is extraordinarily Credit sensitive. As financial conditions loosen, the media industry is among the first to benefit. When corporate managements are incentivized to borrow freely, advertising and marketing budgets are immediate beneficiaries. And I would argue the current Bubble creates an extreme case of an already powerful dynamic. When the Fed slashed rates and began aggressively printing “money” after the mortgage finance Bubble collapse, corporate Credit conditions loosened profoundly. And with managements hesitant to move forward with long-term capital investment, the much easier course was to borrow and boost advertising (and, of course, repurchase shares). This helped spur impressive revenue growth throughout the media industry, which in combination with ultra-easy corporate Credit conditions incited a major industry M&A “arm race.” Throw in the proliferation of new technologies and Internet “media” and one had the makings for a full-fledged - and systemically important - media Bubble. With ad dollars slushing all about the system, the value of media franchises inflated tremendously – cable, wireless, satellite, professional sports, college athletics, Internet, “Hollywood,” etc. It’s the age of the billion-dollar sports franchise, the $100 million professional athlete and movie star, multi-million dollar annual pay packages for professional as well as college coaches. The fortunate few have enjoyed incredible pay inflation, boosting national income and GDP along the way. Between inflated franchise values, inflated stock prices and inflated compensation, it’s just an incredible amount of perceived value propped up with endless advertising dollars. Indeed, a strong case can be made that “media” has been one of the most inflated and distorted sectors throughout this Bubble period. For me, “media” and all the related technologies evolved into the poster-child for the U.S. Bubble – for “Core” Bubble distortions and imbalances – for the maladjusted U.S. “services” Bubble economy structure. And it all absolutely requires ongoing monetary inflation. For a while now I’ve viewed the “media” Bubble as vulnerable to an inevitable tightening of financial conditions. But the Fed and global central bankers for almost seven years have stuck with ultra-loose monetary policy. This ensured the “media” Bubble inflated to self-destructive extremes. In short, there’s today extreme overcapacity for what is an unsustainable Bubble in advertising expenditures (more ad spending, more perceived wealth to spend on more ads). Now advertising spending has begun to slow, an early consequence of a deteriorating backdrop. And as Credit conditions begin to tighten more generally, advertising and marketing budgets will suffer. Perceived wealth will evaporate, M&A appeal will disappear and this bastion of Credit growth and spending will succumb to new realities. Let’s expand on the “Core of the Core” theme. This week also provided additional support for the view that risk aversion is now moving decidedly toward the Core. Commodities losses – notably energy and precious metals – are leading to a major exodus from commodity hedge funds. More importantly, commodity losses have hit some of the large fund complexes. A more generalized flight out of the hedge fund industry would be a major Bubble development. The hedge funds are major players in media industry stocks and bonds. Especially after losses in EM, energy and commodities, a stampede out of media securities would have major ramifications. And, rather suddenly, markets now suffer from Crowded Trade Dynamics and dislocations. Some of the “Core” Wall Street Darlings – from Apple to Tesla to Biogen – have suffered major declines. The biotech Bubble is now deflating. The vulnerable tech Bubble is oscillating. And as losses mount, there will be impetus to sell first and ask questions later. Fund outflows could become a major issue. This week also saw the small caps hit for 2.6%. When de-risking/de-leveraging dynamics begin to attain momentum and liquidity becomes a worry, the beloved small cap universe abruptly turns unappealing. The “Core of the Core” prognosis goes beyond equities. With energy and commodities-related bonds taking another leg lower, junk bond funds saw their second straight week of meaningful outflows. The riskiest universe of junk borrowers – those most vulnerable to a tightening of Credit conditions – is under intense pressure. More attention is also being paid to mounting losses in the popular master limited partnership area. And with Puerto Rico defaulting, flows turned negative this week in muni funds as well. Even investment-grade corporate bond funds this week saw outflows (from the “Core of the Core”). Credit concerns are spreading. BIG crises can lead to big political upheavals. Think of the Depression and the subsequent rise of fascism in Europe and the New Deal in America. What is remarkable about the financial crisis of 2008 is the limited nature of the reaction. Protest parties of the left and right have gained ground, but only in Greece have they gained power. The biggest policy change has been the introduction of quantitative easing, a technical shift that arouses few passions on the street. This lack of action is a source of frustration on the left, for whom 2008 seemed to herald capitalism’s collapse. Some, including Paul Mason, the author of a new book called “Postcapitalism”, still hold out that hope. They view the “sharing economy”, in which outright ownership of goods is less important (think car clubs and “freecycled” furniture), as a sign of capitalism’s impending demise. Jeremy Rifkin, in his book “The Zero Marginal Cost Society”, talks about “the internet of things, the collaborative commons and the eclipse of capitalism”. However, if you define capitalism as the interaction of individuals with a market economy, the system is advancing, not retreating. New-economy websites such as Airbnb and Etsy allow people to earn money in new ways—renting out their homes while they are on holiday, or selling arts and crafts. In the past, homeowners might have struggled to find renters and hobbyists to find buyers; aggregator websites make the task much easier. It is true that some of these new websites undermine existing business models, just as file-sharing wrecked music-publishing companies. But investors expect most of these companies to be profitable eventually, judging by the valuations they attract. Google started as a free internet-search business but has found a way to monetise its reach. The move from an economy based on physical goods to one based on software and intellectual property seems to be allowing higher returns on capital than before. The internet has been in wide use for 20 years or so, and corporate profits are close to a post-war high as a proportion of American GDP. By reducing the cost of information, the internet kills some business models. But not all. New models will appear and people will always be willing to pay for products that convey status, whether luxury watches or fast cars or branded clothing. They can stream music for nothing, but people will spend vast sums to hear rock bands play live. Another new-economy effect is that the old idea of lifetime employment is fading. More people will follow “portfolio careers”, switching from one employer, or even industry, to another as the economy changes. This will require them not just to learn new skills as they age, but to monitor the economy for new opportunities. Many more people are likely to be self-employed, offering services to a wide range of customers. In a sense, they will be artisans, not employees. Activities such as sales, marketing and accounting—matters that salaried employees leave in the hands of specialist colleagues—will become the responsibility of the individual. Such workers will have to be more, not less, sensitive to the market economy than the typical office drone. And then there are pensions. Two decades ago, many workers could rely on a paternalistic system under which companies provided a retirement income linked to their final salary. New private-sector workers merely build up a savings pot, which they must use to see them through their retirement years as best they can. In Britain this pot used to be converted into an annuity, a guaranteed income for life, another paternalistic solution. Instead, Britons must now guess at their likely longevity, calculate their spending over two decades or more while allowing for the effect of inflation, decide on the asset allocation for their funds, assess the merits of rival providers and adjust for the impact of their fees. These are decisions that might defeat the brightest hedge-fund manager. Again, people will have to be more sensitive to the minutiae of the markets than in the past. It could be that this process will turn workers in a left-wing direction; they will demand more government protection from the economic cycle. But things may shift the other way. New-economy pioneers may be socially liberal, but their economic views tend to the libertarian right. 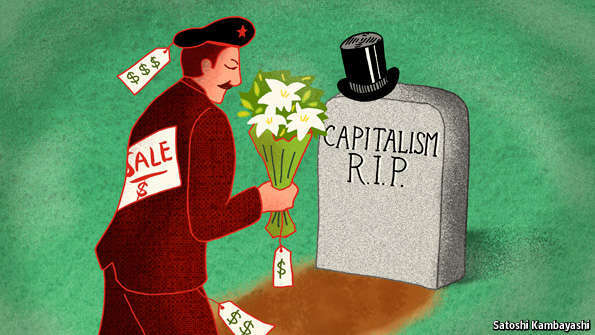 The individuals who sell stuff on eBay, or run bed and breakfasts, are capitalists too, even though they may not think of themselves that way. And they tend not to like more government regulation, or higher taxes on their earnings. When Matteo Ricci, the Italian 16th century Jesuit missionary, travelled to China to win converts to his faith, he found that his European maps, which showed China relegated to the cartographical margins, failed to endear him to his hosts. So he redrew them. The resulting world map of 1602 placed China at its centre, an accommodation that is said to have helped him win influence among the Middle Kingdom’s elite. Ricci’s revisions were made on woodcuts and paper. Now, commentators say, it is the world’s mental map that is in dire need of an overhaul, particularly when it comes to the practice of categorising countries as “emerging” or “developed” markets. The current economic hierarchy, which places emerging nations at the periphery and developed markets at the core of world affairs, no longer accurately describes a world in which EM countries contribute a bigger share to global gross domestic product than their developed counterparts, when measured by purchasing power parity. Nor does the capacious category, which lumps together countries of such diverse economic strengths as China and the Czech Republic, serve to illuminate crucially different realities between these nations. “The EM term has outgrown its usefulness,” says Michael Power, strategist at Investec, a fund management company. “The term today embraces big and small, developed and under-developed, industrialised and agrarian, manufacturing and commodity-based, rich and poor, deficit runners and surplus runners, and I could go on,” he adds. At issue are not merely the niceties of symmetry and order. Emerging markets is one of the most powerful definitions in the world, with an estimated $10.3tn invested in emerging financial markets via an alphabet soup of equity and bond indices. But these indices embrace such a collection of incongruous assets, that they misdirect investors and potentially reduce returns to pension funds, insurance companies and other financial institutions. The term also forms one of the organising principles for global databases and an analytical starting point for those seeking insights into economic, environmental, social and other trends that shape the world. But this, commentators say, generates flawed perceptions and fuzzy arguments that impact on the efficiency of global governance. Already, some commentators are proposing alternatives to the definition, seeking to identify ordering principles and shared dynamics among clusters of developing countries. This, they hope, will allow institutions, companies and multilateral organisations to assess more accurately the balance of risk and opportunity in large parts of the world. At its inception, “emerging market” was not designed as a definition with specific criteria. Antoine van Agtmael, then an economist at the International Financial Corporation, the private sector arm of the World Bank, coined it as a marketing catchphrase in the 1980s. The attraction was clear: it sounded aspirational. Countries previously known by monikers such as “less developed” or “third world” were suddenly imbued with the promise that they might be on a journey towards something better. Since the 1980s, the stunning success of the term has spawned several attempts to nail down a set of commonly recognised characteristics — with the unintended consequence that different organisations such as the International Monetary Fund, the UN and financial index providers such as MSCI, JPMorgan and FTSE use a clutter of conflicting criteria to categorise emerging markets. Adding to the confusion, the term is sometimes used to describe equity, bond or currency markets in developing countries and sometimes to describe the countries themselves. Different criteria make a world of difference. The MSCI equity index identifies 23 emerging markets countries and puts 28 into a “frontier emerging markets” category. The IMF, by contrast, defines 152 “emerging and developing economies”. Even accepting prevailing classifications, it is often unclear why one country has been awarded emerging status while another merits a developed tag. Chile has a bigger economy, a bigger population, less debt and lower unemployment than Portugal but is classed as emerging, whereas the European nation remains part of the developed world. Similarly, on a per-capita income basis, Qatar, Saudi Arabia and South Korea are wealthier than several developed countries, but are still consigned to the emerging camp. Such judgments often depend on the classifier. Providers of financial indices look at issues such as the freedom with which international investors can access the stocks and bonds of a particular country. Others such as the IMF consider questions about the diversity of a country’s economy, in terms of how many products they import and export. Increasingly, the sense that emerging nations take their lead in global affairs from the so-called developed world is also under examination. In some senses, emerging economies already wield power. When calculated by purchasing power parity, which takes account of exchange rate changes, developed countries account for only 39 per cent of global GDP, down from 54 per cent in 2004. Developed markets are also weaker, in aggregate, when it comes to the size of their foreign exchange reserves, the huge stashes of money that accumulate when a country notches up trade surpluses and attracts foreign direct investment. Developed markets hold $3.97tn, compared with $7.52tn for developing countries, according to IMF data. This leads to the curious situation in which emerging nations, which need to invest their reserves in large liquid debt markets, have ended up bankrolling years of deficit-financed excess in large developed countries. China, for instance, was the biggest foreign buyer of US Treasury debt for six years until early 2015. But aside from the various ways in which the EM tail appears to be wagging the developed dog, the broad inclusion of scores of countries glosses over crucial differences between emerging nations, misleading observers to construe equivalence where none exists. Sree Ramaswamy, senior fellow at McKinsey Global Institute, says that key determinants of a country’s economic dynamism and resilience often come down to “economic structure, industry dynamics, corporate landscape and role of government or social and political make-up”. “When it comes to these indicators, the differences between emerging markets outweigh their similarities,” Mr Ramaswamy argues. To many, the problem of how to classify China highlights the emerging market dilemma. In PPP terms, China is already the world’s largest economy and yet it is still classified as emerging. The country has a literacy rate of 96 per cent, more high-speed rail track than all other countries combined and more college students than any other country. Its near $8tn stock market is the world’s second largest after the US and its $5.5tn domestic bond market ranks third in the world after those of the US and Japan. Nevertheless, its domestic equities, not counting those listed in Hong Kong, and its bonds feature only marginally in the MSCI EM Index and JPMorgan EMBI+, the world’s leading equity and bond indices. As a result much of the investment opportunity and risk that Chinese assets represent remains largely sequestered from global investors. In June, MSCI decided not to include China’s A-share stock market into the index because of governance concerns. Inclusion in an index may sound like a relatively minor detail but, in fact, such indices pack an enormous financial clout. The competence of fund managers is assessed by their ability, or failure, to generate returns that exceed those of the dominant index in their asset class. This results in an industry-wide tendency to buy stocks or bonds that are included in an index, thus reducing the risk that a fund manager will egregiously underperform it. Inducting even a mere slice of the huge Chinese stock and bond markets into emerging market indices would create a financial earthquake, effectively forcing fund managers with ambitions to match an index’s performance into loading up on Chinese assets. Peter Marber, fund manager at Loomis Sayles, echoes a widely held view that China’s size may break the emerging market mould. “China is so enormous that if it goes [fully] into EM indices it will dwarf everything, so it is required to treat China as a separate category,” he says. But if China stands outside such indices, the case for India to be treated as separate may also harden, hastening the disintegration of emerging market indices. As it is, Mr Marber says, emerging market indices mix investment assets that range from “garbage” to high quality, rendering investors unable to properly assess risk and dissuading them from investing. These contradictions threaten to consign the term emerging markets to the dustbin. But if it follows the likes of “third world” into virtual extinction, its passage will raise the question of what, if anything, should replace it. The Chinese stock market recently saw its biggest selloff in 8 years as the dramatic 8.5% fall in Shanghai "A" shares also rattled markets around the world. For the past few weeks China has been balancing its desire to keep the equity market from a complete meltdown, while still courting the international investment community with hopes of being a dominant player in the capital and currency markets. But recently The International Monetary Fund (IMF) warned China's government about its concern over limiting investors' freedom to take equity out of financial markets. These concerns were raised when the IMF met with officials in to discuss the chances of including the yuan in the fund's basket of currencies, also known as Special Drawing Rights (SDR). As China tries to balance the demise of its equity bubble while still keeping the illusion of free markets intact, two delusional narratives have started to circulate around Wall Street. The first such Wall Street inspired delusion is that the collapsing Shanghai stock market will have no effect on the underlying Chinese economy. However, even though China's 260 million trading accounts may be a relatively small percentage of its total population, it's also the richest and most productive portion of its citizenry, which also happens to be equal to the entire U.S. population in 1993. And Chinese GDP growth accounts for 1/3 of total global growth. Therefore, we can already find the manifestation of slowing Chinese growth from the nascent fall in equity prices. For example, the profit of China's industrial firms dropped 0.3% in June from a year earlier, that reversed a 0.6% rise in May and 2.6% gain in April. For the first six months of 2015, industrial profits were 0.7% lower than a year earlier. In June, China's producer price index fell 4.8% on an annual basis, its 39th straight month of declines. In fact, the economy is headed for its poorest overall performance in a quarter of a century. The second fallacy is Wall Street believes in the TV commercial that claims what happens in Las Vegas stays in Vegas. Or, in this case, what happens to the Chinese economy stays in China. But the truth is the meltdown in China is already spreading all around the Asia Pacific region. For example, Taiwan's year over year export growth has hit multi-year lows due to collapsing trade with China. But perhaps the biggest indicator of the magnitude of China's slowdown can be found in the global commodities market. Most pundits are trying to link the recent selloff in commodities strictly to the rising dollar as measured by the Dollar Index (DXY). But that Index is actually down about 3% since March. During which time the rout in precious and base metals, energy and agriculture has greatly accelerated. We see the Bloomberg Commodities index now at a thirteen year low. Copper is down 28% for the year, tin is down 30%, and nickel is down 44%. And then we have gold. Last week China dumped 4 tons on the market, causing the price of the precious metal to fall almost 4% within a matter of seconds. This had little to do with the value of the dollar on the DXY, but it was rather mostly about the waning demand in China from its imploding economy and the need to sell what you can when capital controls are in place. Indeed, these commodity prices began to plunge concurrently with China's steep drop in officially reported GDP growth from 12% in 2010, to just 7% today -- the real current growth rate in China is closer to 4% when measured by private data. It is no coincidence that the price of copper dropped from $4.52, to $2.37 during this same timeframe. The true message of plunging commodity markets is that the Chinese government wasted $20 trillion worth of credit digging holes to mollify the fallout from the Great Recession of 2007; primarily creating a huge fixed asset bubble with little economic viability. And then forced another $1.2 trillion in margin debt to engender a consumption-based economy; primarily by creating a stock market bubble after the fixed asset bubble strategy began to fail miserably. So where does this leave the global economy now? US GDP is growing at a meager 1.5% for the first half of 2015. And the second half looks even worse, as an organic U.S. slowdown meets cascading global trade. Adding to this malaise, it appears as though the handful of U.S. stocks that have led the rally are finally starting to join the hangover party. For instance, social media stocks are now crashing harder than commodity prices, with Yelp recently falling 27% in one day after dropping 60% YOY; Twitter has also tumbled 45% in the last 52 weeks; and Facebook recently dropping nearly 5% after reporting a miss in the number of eyeballs staring at their cellphones checking the like box. But here is the most important take; the arrogance that led the Fed to believe it could save the world in 2008 by manipulating markets is causing Ms. Yellen and co. to promulgate the idea that it can now raise rates into a global slow down without negative repercussions -- thereby, demonstrating its success in rescuing the economy from the Great Recession by proving interest rates can now rise with impunity. However, the truth is the Fed hasn't raised interest rates in a decade and will probably never be able to move much off the zero bound range without totally collapsing markets and the economy. I think the Fed is aware of this and that's why it is continually finding excuses not to start a rate hiking cycle -- just like it did yet again in the July meeting. Therefore, the real money to be made is in fading the massively overcrowded trade that believes U.S. stocks are immune from the worldwide economic slowdown and that the U.S. dollar will be in a secular bull market. Can the Euro Be Repaired? PARIS – When Wolfgang Schäuble, Germany’s finance minister, recently tabled the option of a Greek exit from the euro, he wanted to signal that no member could abstain from the monetary union’s strict disciplines. In fact, his initiative triggered a much broader discussion of the principles underpinning the euro, its governance, and the very rationale for its existence. Only a fortnight before Schäuble’s proposal, Europe’s leaders had barely paid attention to a report on the euro’s future prepared by European Commission President Jean-Claude Juncker and his colleagues from the other European Union institutions. But the new dispute over Greece has convinced many policymakers of the necessity to return to the drawing board. Meanwhile, citizens wonder why they share this currency, whether it makes sense, and if agreement can be reached on its future. For currencies, as for countries, founding myths matter. The conventional wisdom is that the euro was the political price Germany paid for French acquiescence to its reunification. In fact, German reunification only provided the final impetus for a project conceived in the 1980s to resolve a longstanding dilemma. European governments were both strongly averse to floating exchange rates, which they assumed would be incompatible with a single market, and unwilling to perpetuate a Bundesbank-dominated monetary regime. A truly European currency built on German principles appeared to be the best way forward. In retrospect, German reunification was more a curse than a blessing. When exchange rates were locked in 1999, Germany’s was overvalued, and its economy was struggling; France’s was undervalued, and its economy was booming. During the ensuing decade, imbalances slowly grew between a resurgent Germany and countries where low interest rates had triggered credit booms. And when the global financial crisis erupted in 2008, conditions were ripe for a perfect storm. No one can say how Europe would have evolved without the euro. Would the fixed-exchange-rate system have endured or collapsed? Would the Deutschemark have been overvalued? Would states have reintroduced trade barriers, ending the single market? Would a real-estate bubble have developed in Spain? Would governments have reformed more or less? Establishing a counterfactual baseline against which the euro’s impact could be assessed is impossible. But that is no excuse for complacency. Over the last 15 years, the eurozone’s economic performance has been disappointing, and its policy system must answer for this. What really matters is whether a common European currency still makes sense for the future. This question is often evaded, because the cost of exiting is deemed too high to consider it (and could be higher still if the break-up takes place in a crisis and sharpens reciprocal acrimony among participating countries). Moreover, pulling the plug on the euro could unleash the dark forces of nationalism and protectionism. But, as Oxford’s Kevin O’Rourke recently argued, this is hardly a sufficient argument. It is the logical equivalent of advising a couple to remain married because divorce is too expensive. So does the euro still make sense? It was expected to deliver three economic benefits. Monetary union, it was assumed, would foster economic integration, bolstering Europe’s long-term growth. Instead, intra-eurozone trade and investment have increased only modestly, and growth potential has actually weakened. This is partly because national governments, rather than building on currency unification to turn the eurozone into an economic powerhouse, tried to hang onto their remaining power. This was perhaps logical politically, but it made no economic sense: Europe’s huge domestic market is one of its main assets, and opportunities to strengthen it should not be squandered. Second, it was hoped that the euro would become a major international currency (particularly given how few countries are equipped with the necessary legal, market, and policy institutions). And, according to recent ECB statistics, this hope has been largely fulfilled. With international use of the euro behind only the US dollar, this achievement can help Europe to continue shaping the global economic order, rather than sliding into irrelevance. Third, it was (somewhat naively) believed that the institutions underpinning the euro would improve the overall quality of economic policy, as though Europe-wide policies would automatically be better than national ones. The acid test came in the aftermath of the 2008 global financial crisis: because it overestimated the fiscal dimension of the crisis and underestimated its financial dimension, the eurozone performed worse than the United States and the United Kingdom. If the euro is to create prosperity, further reforms of the policy system are therefore needed. But an agenda can be designed and implemented only if there is a broad consensus on the nature of the problem. And, as the ongoing dispute over Greece illustrates, agreement remains elusive: Participating countries have developed contradictory analyses of the causes of the debt crisis, from which they derive contradictory prescriptions. Richard Cooper of Harvard University once observed that in the early days of international public health cooperation, the fight against global diseases was hampered by countries’ adherence to different models of contagion. They all favored joint action, but they could not agree on a plan, because they disagreed on how epidemics crossed borders. That is the problem the eurozone faces today. Fortunately, it is not unsolvable, as significant reforms like the creation of the European Stability Mechanism and the launch of banking union show. Disagreements also did not prevent the ECB from acting boldly, which illustrates that the governance of institutions does matter. But the fact that reforms and actions were undertaken only lately, and under the pressure of acute crisis, is a sobering reminder of the difficulty of reaching consensus. Europe cannot afford to procrastinate and pretend. Either the eurozone’s members find agreement on an agenda of governance and political reforms that will turn the currency union into an engine of prosperity, or they will stumble repeatedly from dispute to crisis, until citizens lose patience or markets lose trust. Clarity is a prerequisite of serious discussion and ambitious reform. Each of the major participants now has an obligation to define what it regards as indispensable, what it considers unacceptable, and what it is ready to give in exchange for what it wants. ON FRIDAY, the Swiss National Bank (SNB), Switzerland’s central bank, reported second quarter losses of SFr20 billion ($20 billion). Following an equally bad first three months of the year, the SNB’s losses so far for 2015 now amount to a whopping SFr50.1 billion, equivalent to 7.5% of Switzerland's GDP. 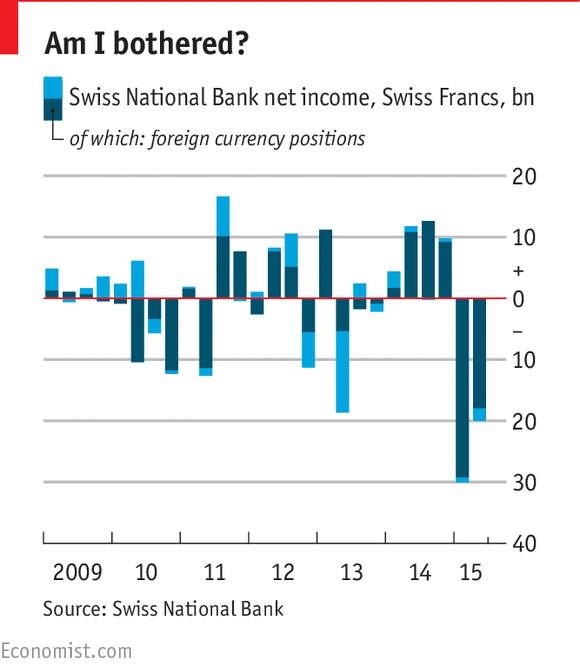 The SNB's losses were large but not unexpected. For years, the Bank has intervened in foreign exchange markets to prevent the Swiss franc from appreciating above its euro exchange rate cap, set at 1.20 francs per euro in September 2011. In January, the SNB abruptly abandoned its currency peg as the European Central Bank geared up for its €1.1 trillion quantitative easing programme. That caused the franc to immediately jump in value by more than 20% against the euro. Scrapping the currency peg has had two nasty consequences. First, the appreciation of the franc made Swiss exports more expensive for foreigners, prompting the Swiss economy to start shrinking in the first quarter of 2015. Second, the depreciation of the euro against the franc led to significant currency losses on the SNB’s $550 billion foreign-exchange reserves, of which some $230 billion is held in the single currency. This alone accounted for 94% of the central bank's losses in the first half of the year. 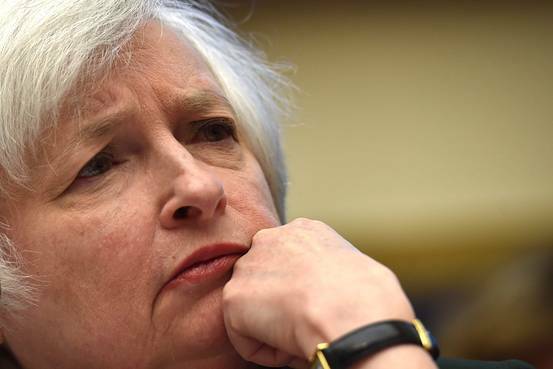 Fed Chairwoman Janet Yellen remains troubled by stubbornly high levels of slack. Friday’s jobs report revealed that the unrounded overall unemployment rate, at 5.26%, has finally dropped below its prerecession average, a point underscored in a blog post by Jason Furman, chairman of the White House Council of Economic Advisers. So we’re now fully recovered from the recession, right? The labor market is cranking and the Federal Reserve is sure to pull the trigger on higher rates in September to keep the economy from overheating, right? Well, not quite. Look below the topline unemployment rate and the picture becomes murkier. Yes, slack in the overall labor market has been absorbed. But as a chart below (created by Mr. Furman’s shop) points out, there is still plenty of labor market slack among certain groups. The share of long-term unemployed workers is still 34% higher than it was before the recession, although it’s come down noticeably. And the much-scrutinized “U-6” unemployment rate, a broader indicator that includes those stuck in part-time jobs and discouraged workers, is still 14% above where it stood. The unemployment rates for women and Hispanics are also slightly higher than they were before the recession, Mr. Furman notes. There are two ways to look at this. The optimistic view would note that while some measures of labor market slack remain high, they’re all moving in the right direction. And since the recession was so severe, it’s only normal that some more vulnerable groups in the labor market should take longer to recover. A more pessimistic observer would argue it’s hard to make the case that the labor market is fully healed when it’s still so hard for those who have been unemployed six months or more to get a job. So where does the Fed fall in all this? It’s hard to say for sure. While economists generally agree that Friday’s report puts the central bank firmly on track to raise rates next month, it’s clear that Fed Chairwoman Janet Yellen remains troubled by stubbornly high levels of slack. “The lower level of the unemployment rate today probably does not fully capture the extent of slack remaining in the labor market–in other words, how far away we are from a full-employment economy,” she said in a speech last month in Cleveland. Nothing in today’s data is likely to lead her to change that assessment. Puerto Rico has triggered the biggest municipal default in US history, risking years of bitter legal warfare with creditors and an austerity "death spiral" with echoes of Greece. The island Commonwealth finally ran out of money on Monday after a desperate effort to stay afloat, and missed a final deadline for a $58m payment - handing over just $628,000. It implies a sweeping default on much of its $72bn debt burden, equal to 100pc of Puerto Rico’s gross national product (GNP) and more than five times the debt ratio of California or Texas. The Commonwealth is now in legal limbo, facing a well-organised pack of hedge funds that scooped up the debt at distressed levels and appears determined to extract maximum value in the courts, even if this means shutting down part of the island’s education system and social services. Puerto Rico is not covered by the “Chapter Nine” bankruptcy code in the US, and therefore cannot resort to the sort of orderly debt restructuring that helped the city of Detroit to get back on its feet after defaulting in 2013. By a quirk of law, it does not enjoy the partial protection of full US states. At the same time, it is unable to draw on support from the International Monetary Fund since it is not a sovereign country. “We don’t know how the bankruptcy is going to proceed. It could easily turn into a free-for-all,” said Desmond Lachman, a former IMF division chief now at the American Enterprise Institute. “If the hedge funds press for their pound of flesh, they could drive the economy into the ground. The more the economy tanks, the less tax they collect, and the more they have to tighten. It is crazy,” he said. “They are in a similar situation to Greece, and this is what happens if you are asked to carry out too much fiscal adjustment in a fixed exchange monetary union. Their GDP has been shrinking by 1pc a year for the last decade,” he said. A group of 34 hedge funds, led by Fir Tree Partners and Aurelius Capital, among others, has recruited a team of former-IMF officials to push their case that Puerto Rico is able to pay its debts if it reins in public spending. They claim that the island is “massively overspending” on education, letting costs balloon by 39pc over the past decade even though school enrollment has collapsed by a quarter. The island has already closed more than 100 schools. Puerto Rico’s governor, Alejandro Garcia Padillo, said drastic austerity would perpetuate the island’s “vicious cycle” as the shrivelling economy accelerates a mass exodus of the working-age cohort. The population has collapsed by 12pc in a decade. “This is not about politics. It’s about maths. We have to make the economy grow. If not, we will be in a death spiral,” he said. Puerto Rico has recruited its own IMF champion, the former deputy director Anne Kroeger. Her report implicitly calls for a debt haircut of 35pc, roughly the current price of debt trading in the secondary market, though there are many types of bonds. Others say debt relief nearer 50pc will be necessary. “There is no US precedent for anything of this scale and scope. No US state has restructured its debt in living memory. Any attempt faces unprecedented legal challenges,” she said. Dr Kroeger said it would be self-defeating for creditors to push their demands too far given the vast fiscal gap that has built up over time. “There are limits to how much more expenditures can be cut or taxes raised. One has to be mindful of the hit to near-term growth from a sharper fiscal contraction; if output falls significantly, tax receipts will decline,” she said. Several bills are now emerging in Congress that would grant Puerto Rico "Chapter Nine" protection and weaken the hand of creditors. Presidential candidates Hillary Clinton and Jeb Bush have both called for legal changes, all too conscious that this saga has become a neuralgic issue for Hispanic voters – a key swing constituency. Yet the creditors have pushed home their narrative that Puerto Ricans are feckless, living beyond their means, and could easily pay if they tightened their belts. Great numbers of ordinary Americans bought the island’s debt because the interest was tax free. The parallels with Greece are striking, though they can be pushed too far. Nobel economist Paul Krugman says Puerto Rico is cushioned by fiscal buffers, pension payments and medical care under the US federal union, averting the sort of collapse in incomes seen in Greece. Puerto Rico clearly allowed a debt crisis to creep up during the boom years, when the underlying rot was hidden from view and creditors lent without a second thought, banking on an implicit guarantee from the US sovereign state that did not in fact exist. Yet it was also the victim of globalisation, or the “China effect”, which chipped away at mid-level economies caught too far down the manufacturing ladder, with relatively high wages and low productivity. Puerto Rico was unable to compete against this Asian onslaught after a special tax sweetner expired in 2006. The Kroeger report said the island should be exempted from the US minimum wage in order restore competitiveness, a de facto call for an internal devaluation – an experiment pursued with varying results in Greece, Portugal, Latvia and Ireland. For the world, Puerto Rico is becoming a test case of whether hedge funds and financial creditors can legitimately dictate terms to sub-sovereign states, or whether there is a greater social interest in limiting their legal powers. Editor's Note: With the war in Syria showing no signs of abating, we republish our Jan. 21, 2014, weekly explaining the complex geopolitics of the conflicto. International diplomats will gather Jan. 22 in the Swiss town of Montreux to hammer out a settlement designed to end Syria's three-year civil war. The conference, however, will be far removed from the reality on the Syrian battleground. Only days before the conference was scheduled to begin, a controversy threatened to engulf the proceedings after the United Nations invited Iran to participate, and Syrian rebel representatives successfully pushed for the offer to be rescinded. The inability to agree upon even who would be attending the negotiations is an inauspicious sign for a diplomatic effort that was never likely to prove very fruitful. There are good reasons for deep skepticism. As Syrian President Bashar al Assad's forces continue their fight to recover ground against the increasingly fratricidal rebel forces, there is little incentive for the regime, heavily backed by Iran and Russia, to concede power to its sectarian rivals at the behest of Washington, especially when the United States is already negotiating with Iran. Ali Haidar, an old classmate of al Assad's from ophthalmology school and a long-standing member of Syria's loyal opposition, now serving somewhat fittingly as Syria's National Reconciliation Minister, captured the mood of the days leading up to the conference in saying "Don't expect anything from Geneva II. Neither Geneva II, not Geneva III nor Geneva X will solve the Syrian crisis. The solution has begun and will continue through the military triumph of the state." Widespread pessimism over a functional power-sharing agreement to end the fighting has led to dramatic speculation that Syria is doomed either to break into sectarian statelets or, as Haidar articulated, revert to the status quo, with the Alawites regaining full control and the Sunnis forced back into submission. Both scenarios are flawed. Just as international mediators will fail to produce a power-sharing agreement at this stage of the crisis, and just as Syria's ruling Alawite minority will face extraordinary difficulty in gluing the state back together, there is also no easy way to carve up Syria along sectarian lines. A closer inspection of the land reveals why. Before the 1916 Sykes-Picot agreement traced out an awkward assortment of nation-states in the Middle East, the name Syria was used by merchants, politicians and warriors alike to describe a stretch of land enclosed by the Taurus Mountains to the north, the Mediterranean to the west, the Sinai Peninsula to the south and the desert to the east. If you were sitting in 18th-century Paris contemplating the abundance of cotton and spices on the other side of the Mediterranean, you would know this region as the Levant — its Latin root "levare" meaning "to raise," from where the sun would rise in the east. If you were an Arab merchant traveling the ancient caravan routes in the Hejaz, or modern-day Saudi Arabia, facing the sunrise to the east, you would have referred to this territory in Arabic as Bilad al-Sham, or the "land to the left" of Islam's holy sites on the Arabian Peninsula. Whether viewed from the east or the west, the north or the south, Syria will always find itself in an unfortunate position surrounded by much stronger powers. The rich, fertile lands straddling Asia Minor and Europe around the Sea of Marmara to the north, the Nile River Valley to the south and the land nestled between the Tigris and the Euphrates rivers to the east give rise to larger and more cohesive populations. When a power in control of these lands went roaming for riches farther afield, they inevitably came through Syria, where blood was spilled, races were intermixed, religions were negotiated and goods were traded at a frenzied and violent pace. Consequently, only twice in Syria's pre-modern history could this region claim to be a sovereign and independent state: during the Hellenistic Seleucid dynasty, based out of Antioch (the city of Antakya in modern-day Turkey) from 301 to 141 B.C., and during the Umayyad Caliphate, based out of Damascus, from A.D. 661 to 749. Syria was often divided or subsumed by its neighbors, too weak, internally fragmented and geographically vulnerable to stand its own ground. Such is the fate of a borderland. Unlike the Nile Valley, Syria's geography lacks a strong, natural binding element to overcome its internal fissures. An aspiring Syrian state not only needs a coastline to participate in sea trade and guard against sea powers, but also a cohesive hinterland to provide food and security. Syria's rugged geography and patchwork of minority sects have generally been a major hindrance to this imperative. Syria's long and extremely narrow coastline abruptly transforms into a chain of mountains and plateaus. Throughout this western belt, pockets of minorities, including Alawites, Christians and Druze, have sequestered themselves, equally distrustful of outsiders from the west as they are of local rulers to the east, but ready to collaborate with whomever is most likely to guarantee their survival. The long mountain barrier then descends into broad plains along the Orontes River Valley and the Bekaa Valley before rising sharply once again along the Anti-Lebanon range, the Hawran plateau and the Jabal al-Druze mountains, providing more rugged terrain for persecuted sects to hunker down and arm themselves. Just west of the Anti-Lebanon mountains, the Barada river flows eastward, giving rise to a desert oasis also known as Damascus. Protected from the coast by two mountain chains and long stretches of desert to the east, Damascus is essentially a fortress city and a logical place to make the capital. But for this fortress to be a capital worthy of regional respect, it needs a corridor running westward across the mountains to Mediterranean ports along the ancient Phoenician (or modern-day Lebanese) coast, as well as a northward route across the semi-arid steppes, through Homs, Hama and Idlib, to Aleppo. The saddle of land from Damascus to the north is relatively fluid territory, making it an easier place for a homogenous population to coalesce than the rugged and often recalcitrant coastline. Aleppo sits alongside the mouth of the Fertile Crescent, a natural trade corridor between Anatolia to the north, the Mediterranean (via the Homs Gap) to the west and Damascus to the south. While Aleppo has historically been vulnerable to dominant Anatolian powers and can use its relative distance to rebel against Damascus from time to time, it remains a vital economic hub for any Damascene power. Finally, jutting east from the Damascus core lie vast stretches of desert, forming a wasteland between Syria and Mesopotamia. This sparsely populated route has long been traveled by small, nomadic bands of men — from caravan traders to Bedouin tribesmen to contemporary jihadists — with few attachments and big ambitions. The demographics of this land have fluctuated greatly, depending on the prevailing power of the time. Christians, mostly Eastern Orthodox, formed the majority in Byzantine Syria. The Muslim conquests that followed led to a more diverse blend of religious sects, including a substantial Shiite population. Over time, a series of Sunni dynasties emanating from Mesopotamia, the Nile Valley and Asia Minor made Syria the Sunni-majority region that it is today. While Sunnis came to heavily populate the Arabian Desert and the saddle of land stretching from Damascus to Aleppo, the more protective coastal mountains were meanwhile peppered with a mosaic of minorities. The typically cult-like minorities forged fickle alliances and were always on the lookout for a more distant sea power they could align with to balance against the dominant Sunni forces of the hinterland. The French, who had the strongest colonial links to the Levant, were masters of the minority manipulation strategy, but that approach also came with severe consequences that endure to this day. In Lebanon, the French favored Maronite Christians, who came to dominate Mediterranean sea trade out of bustling port cities such as Beirut at the expense of poorer Sunni Damascene merchants. France also plucked out a group known as the Nusayris living along the rugged Syrian coast, rebranded them as Alawites to give them religious credibility and stacked them in the Syrian military during the French mandate. When the French mandate ended in 1943, the ingredients were already in place for major demographic and sectarian upheaval, culminating in the bloodless coup by Hafiz al Assad in 1970 that began the highly irregular Alawite reign over Syria. With the sectarian balance now tilting toward Iran and its sectarian allies, France's current policy of supporting the Sunnis alongside Saudi Arabia against the mostly Alawite regime that the French helped create has a tinge of irony to it, but it fits within a classic balance-of-power mentality toward the region. The delegates discussing Syria this week in Switzerland face a series of irreconcilable truths that stem from the geopolitics that have governed this land since antiquity. The anomaly of a powerful Alawite minority ruling Syria is unlikely to be reversed anytime soon. Alawite forces are holding their ground in Damascus and steadily regaining territory in the suburbs. Lebanese militant group Hezbollah is meanwhile following its sectarian imperative to ensure the Alawites hold onto power by defending the traditional route from Damascus through the Bekaa Valley to the Lebanese coast, as well as the route through the Orontes River Valley to the Alawite Syrian coast. So long as the Alawites can hold Damascus, there is no chance of them sacrificing the economic heartland. It is thus little wonder that Syrian forces loyal to al Assad have been on a northward offensive to retake control of Aleppo. Realizing the limits to their own military offensive, the regime will manipulate Western appeals for localized cease-fires, using a respite in the fighting to conserve its resources and make the delivery of food supplies to Aleppo contingent on rebel cooperation with the regime. In the far north and east, Kurdish forces are meanwhile busy trying to carve out their own autonomous zone against mounting constraints, but the Alawite regime is quite comfortable knowing that Kurdish separatism is more of a threat to Turkey than it is to Damascus at this point. The fate of Lebanon and Syria remain deeply intertwined. In the mid-19th century, a bloody civil war between Druze and Maronites in the densely populated coastal mountains rapidly spread from Mount Lebanon to Damascus. This time around, the current is flowing in reverse, with the civil war in Syria now flooding Lebanon. As the Alawites continue to gain ground in Syria with aid from Iran and Hezbollah, a shadowy amalgam of Sunni jihadists backed by Saudi Arabia will become more active in Lebanon, leading to a steady stream of Sunni-Shiite attacks that will keep Mount Lebanon on edge. The United States may be leading the ill-fated peace conference to reconstruct Syria, but it doesn't really have any strong interests there. The depravity of the civil war itself compels the United States to show that it is doing something constructive, but Washington's core interest for the region at the moment is to preserve and advance a negotiation with Iran. This goal sits at odds with a publicly stated U.S. goal to ensure al Assad is not part of a Syrian transition, and this point may well be one of many pieces in the developing bargain between Washington and Tehran. However, al Assad holds greater leverage so long as his main patron is in talks with the United States, the only sea power currently capable of projecting significant force in the eastern Mediterranean. Egypt, the Nile Valley power to the south, is wholly ensnared in its own internal problems. So is Turkey, the main power to the north, which is now gripped in a public and vicious power struggle that leaves little room for Turkish adventurism in the Arab world. That leaves Saudi Arabia and Iran as the main regional powers able to directly manipulate the Syrian sectarian battleground. Iran, along with Russia, which shares an interest in preserving relations with the Alawites and thus its access to the Mediterranean, will hold the upper hand in this conflict, but the desert wasteland linking Syria to Mesopotamia is filled with bands of Sunni militants eager for Saudi backing to tie down their sectarian rivals. And so the fighting will go on. Neither side of the sectarian divide is capable of overwhelming the other on the battlefield and both have regional backers that will fuel the fight. Iran will try to use its relative advantage to draw the Saudi royals into a negotiation, but a deeply unnerved Saudi Arabia will continue to resist as long as Sunni rebels still have enough fight in them to keep going. Fighters on the ground will regularly manipulate appeals for cease-fires spearheaded by largely disinterested outsiders, all while the war spreads deeper into Lebanon. The Syrian state will neither fragment and formalize into sectarian statelets nor reunify into a single nation under a political settlement imposed by a conference in Geneva. A mosaic of clan loyalties and the imperative to keep Damascus linked to its coastline and economic heartland — no matter what type of regime is in power in Syria — will hold this seething borderland together, however tenuously. On July 29, 2015, the Executive Board of the International Monetary Fund (IMF) concluded the Article IV consultation1 with the Russian Federation. Russia entered 2014 with declining potential growth owing to the stabilization of oil prices, stalled structural reforms, weak investment, declining total factor productivity and adverse population dynamics. In addition, the ongoing slowdown was exacerbated by the dual external shocks from the sharp decline in oil prices and sanctions. The authorities took measures to stabilize the economy and the financial system. The sharp decline in oil prices and sanctions led to severe pressure on the ruble, a surge in inflation, market turbulence, and concerns over financial stability. In response, the authorities (i) accelerated the move to a floating exchange rate, raised policy rates and increased FX liquidity; (ii) introduced temporary regulatory forbearance and a capital support program; and (iii) provided some fiscal stimulus and limited wage indexation to support the disinflationary process. Russia is expected to be in recession in 2015 due to the sharp drop in oil prices and sanctions. GDP is expected to decline by 3.4 percent driven by a contraction in domestic demand weighed down by falling real wages, higher cost of capital, and weakened confidence. The external position will remain challenging due to deleveraging in the face of limited market access. Inflation is expected to come down due to the dissipating impact of the ruble depreciation, the limited wage indexation in the budget and the recession. Growth should resume in 2016 while inflation continues to decline. However, the recovery is unlikely to be strong as the limiting factors behind decelerating potential growth will take time to be addressed, leading to medium-term growth of 1.5 percent per year. An increase in geopolitical tensions is the main risk to the outlook. Executive Directors commended the policy actions taken by the authorities to stabilize the economy in light of the significant stress created by lower oil prices and sanctions. Pre-existing structural weaknesses also contributed to this difficult situation. Directors concurred that continued prudent policies and reforms will be necessary to ensure macroeconomic stability and boost potential growth. Directors agreed that a supportive fiscal stance is appropriate at present, given cyclical considerations and available fiscal space. However, they highlighted that quasi-fiscal operations should be limited and coordinated to avoid an overly stimulative impulse. For the medium term, Directors called for a gradual fiscal tightening to adjust to lower oil prices and rebuild buffers. In this context, they welcomed the authorities’ intention to revisit the fiscal rule so that the oil price benchmark better reflects market developments. Directors also underscored the need for permanent and credible fiscal measures, including pension reform, reduction of energy subsidies, and better targeting of social transfers. Directors concurred that monetary easing should continue at a pace commensurate with the decline in underlying inflation and inflation expectations as external and financial stability risks abate. Noting the foreign exchange purchase program to rebuild precautionary buffers, they encouraged the authorities to ensure that it is consistent with inflation targeting. Directors noted that policies have been successful in stabilizing the banking system. They highlighted the need to support individual banks according to their specific capital needs while adjusting the parameters of the capital support program to strengthen incentives and minimize cost to the public sector. Directors encouraged the authorities to phase-out regulatory forbearance along with the implementation of the capital support program and better align Russia’s resolution framework to best international practices. They also saw a need for reducing banking sector fragmentation and encouraging competition among banks, by stepping up supervision and moving toward the adoption of Basel III capital standards. Directors emphasized that accelerating the pace of structural reforms is key to raising Russia’s potential growth. In this context, they noted that priority should be given to further measures aimed at strengthening governance and property rights and streamlining regulation. Directors also emphasized the need to reduce trade barriers, improve the transparency and efficiency of public investment, and increase competition in domestic markets. They noted that reinvigorating the privatization agenda, as soon as market conditions permit, would enhance economic efficiency. In addition, Directors highlighted that a deeper and more efficient financial system would improve the allocation of capital and boost potential growth. Sources: Russian authorities; and IMF staff estimates. 3 Real GDP growth and prices for 2013-14 reflect updated staff projections. 4 Cash basis. Expenditures based on 2013-15 budget and the fiscal rule. 5 In months of imports of goods and non-factor services. 6 WEO through 2013, and Brent crude oil spot and futures prices for 2014-15.